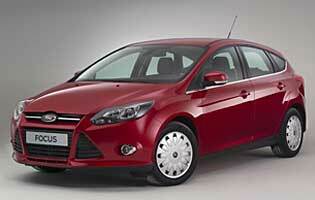 The Ford Focus is one of the country's favourite cars, judging by its huge sales figures. The cost of fuel is a chief concern for motorists, too, so ultra-economical versions of popular cars like this are flying out of showrooms. This is one of Ford's efforts; a practical and surprisingly utilitarian estate car with its sights firmly set on maximum miles per gallon. In some ways, producing an extremely efficient derivative of a car like the Focus is an easy task. Buyers of this Econetic model will be mainly focused on reducing their road tax bills, especially if they are company car users, so ultimately the lower the CO2 output, the better. 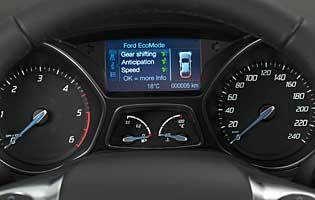 That means Ford has employed a host of basic aerodynamic and drivetrain modifications to lower the Econetic's emissions. The results are spectacular, creating one of the lowest carbon dioxide outputs in the class and the ability to cruise at unbelievably high fuel economy. In this state of tune, though, the 1.6-litre diesel engine is both a blessing and a curse. Used with determined caution it's extremely frugal, but that comes at a cost in terms of everyday driveability. Steel wheels, which are lighter than classier-looking alloys, help the Focus' lengthened estate shape to slip through the air even more cleanly than normal, aided by aerodynamic, if ugly, wheel trims. Business users, in particular, will value every extra claimed mile per gallon, so it's vital to Ford to drop everything else – including style – in pursuit of efficiency. Arguably Ford has shifted the Econetic too far away from desirability and style in search of its end results, but high-mileage drivers may not mind. It does look a little low-rent in comparison to regular Focus models, but the model's trademark quick steering and agile handling are, thankfully, intact. From the inside, then, the car is perhaps more convincing. 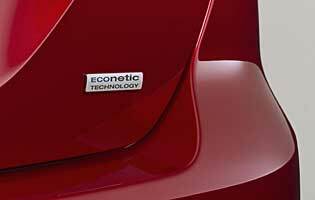 Among the excellent but somewhat stately Focus range, the Econetic model is a necessity rather than a flagship. It adds to the range a headline act only in terms of fuel economy, and in almost all other ways is comparatively lacklustre for its price. There are cheaper versions of the estate for those who prioritise practicality, and there are more versatile and enjoyable engine choices too. Falling, as it does, at the cheaper end of the Focus price scale, the most efficiency-biased version looks like quite good value in a pure practicality and running costs sense. If all-round practicality and economical cruising potential are key, then this model represents a really good investment. Depreciation is steep, but as an eco-special model it may prove to hold its value better in the face of rising motoring costs. 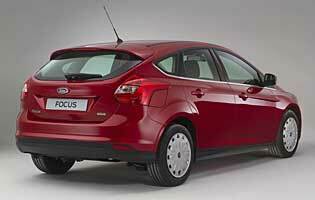 Even as a hatchback this version of the Focus has a great deal of innate practicality. The effect is somewhat boosted by the utilitarian feel of this basic trim level, giving the car something of the practical feel of a van. The boot isn't the largest offering out there, but holiday baggage or even the dog can fit under the right circumstances. In the cabin there are a good spread of storage solutions to give everyday items a temporary home. A pleasantly chunky, substantial feeling blesses the ancillary stalks that control the lights and windscreen wipers. An equally rotund steering wheel gives a driver a sense of confidence, and forms part of a spectrum of Focus features that have been winning drivers over in their thousands for many years. The main blue-backlit display, though, is crowded and sometimes difficult to read safely while driving. Despite marginally lowered suspension to help the overall aerodynamics, this Econetic Focus maintains a comfortable ride and will satisfy the majority of potential buyers. There is plenty of space for front seat occupants, and rear passengers are unlikely to feel particularly short-changed either. The rear seats are a little flat-backed and not as pleasant as the fronts, but at least there is enough legroom behind an average-height driver. The only reason that thieves might look towards this, the blandest version of the Focus especially in white, is likely to be because they thought it might have tools left in it overnight. It's a positive thing that criminals will simply not be drawn to it. There are no particularly special features beyond the standard remote central locking with deadlocks, but that does at least stop the doors being opened after a window had been smashed. There are many systems available within the Focus range designed to keep the driver and any passengers safe. However, this Edge-based model is simply too lowly in the range to benefit from most of them. What it does have, regardless, is an excellent and proven selection of active and passive systems related to braking and cornering that help to prevent the most common types of accidents. The model-specific version of Ford's 1.6-litre diesel engine is impressively quiet immediately after a cold start, and continues to be when pulling away. The only time that it becomes rowdy and unpleasant is when being driven hard. Unfortunately, the extremely long gearing that helps the Focus Econetic to perform so well in fuel efficiency tests works against it in terms of driveability, forcing the engine to labour hard to deliver any kind of performance and making the overall experience hard work. Road tax would be a problem long forgotten thanks to this Focus' low CO2 emissions, and when that combines with its incredibly economical cruising potential, families could buy this car with a view to making sure that they can always afford to drive to the seaside for family days out. The big boot is just about spacious enough for a tightly-folding pushchair, but other items would have to be stacked around it with skill. There are few reasons why a first-time car buyer would choose this particular model to top their four-wheeled shopping list. It's not the most engaging and is larger than a novice typically wants or needs, and it isn't especially cheap compared to the usual first driver fare of superminis. Ford's reputation for build quality is not as high as it could or arguably should be. Both electrical and mechanical faults are too common, although some Ford owners go years without their cars missing a beat. This particular Focus is not as complex as some higher trim variants, and on the whole it feels rather low-rent thanks to shoddy materials and boring design. The exterior image in particular suffers from the Econetic aerodynamics modifications, and its raw desirability is non-existent. The Focus body style scores points for ease of access, with five doors, an easy-opening tailgate among them, and a convincing amount of ingress and egress space. The car can't match the pillarless design of Ford's B-Max for outright ease of access, but overall it manages to make life easy enough nonetheless. Getting things into the boot is easy thanks to a relatively low load lip. Despite the old-school feel inside this version of the Focus, there is Bluetooth connectivity to allow drivers to make hands-free mobile phone calls as well as playing music wirelessly. The stereo itself is nothing special, with a modest number of speakers dotted around the cabin, but there is a basic input port for an MP3 player. This Focus still has a CD player, too, but Ford's plans are to remove them from future models. This focus is not the best suited to understated colours for the simple reason that it looks so bland anyway. The standard red is a good bet, but white in particular should be avoided. There are blue and silver options, too, but the strongest colours are reserved for the high-performance ST models. Inside, the story is much the same, with drab plastics and Ford's crowded - and dated - mobile phone-inspired centre console design that recalls devices of a decade or more ago. The Focus design may be ageing but it remains convincingly easy to pilot. There is good visibility for the type of car, so judging distances is quite easy. Some may find that the rear corners are more difficult to place at times, where reversing towards hidden bollards or barriers can sometimes cause problems. The car's narrow dimensions help it to slot into many tighter bay spaces. Petrol engine options – 1.6-litre (84bhp, 103bhp, 123bhp (auto only), 179bhp); 1.0-litre (99bhp, 123bhp); 2.0-litre (247bhp). Diesel engine options – 1.6-litre (94bhp, 113bhp); 2.0-litre (138bhp, 161bhp). Transmission options: five and six-speed manual gearbox depending on model, plus auto gearbox. Trim levels: Studio, Edge, Zetec, Zetec Navigator, Zetec S, Titanium Navigator, Titanium X Navigator, ST, ST-2, ST-3, plus Econetic variants.